Using key canonical science fiction narratives, Mesmerists, Monsters, and Machines examines the intersection of the literary and scientific cultures of the nineteenth century. 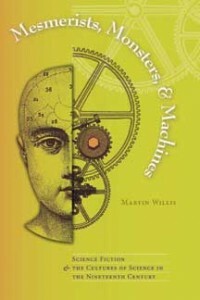 In this original and refreshing approach to the study of early science fiction, author Martin Willis maintains that science fiction was just as important in defining the culture of the nineteenth century as other critics maintain it was in shaping the twentieth century. Mesmerists, Monsters, and Machines interrogates the cultural implications of scientific development as articulated, challenged, and reformulated by science fiction. 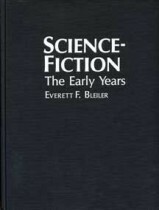 Each chapter demonstrates that both science and fiction were vital parts of a culture of imaginative and empirical practices that were continually reacting to, arguing with, and influencing one another throughout the nineteenth century. 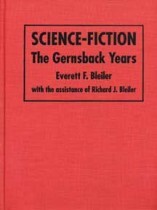 In an engrossing narrative that cites classic science fiction texts, Willis establishes a timeline for the reader so that the cultural significance of science fiction is understood and its complexity and relevance to the nineteenth century is demonstrated. Those interested in nineteenth-century history and literature, cultural studies, the history of science, and science fiction will welcome this addition to the scholarship. Martin Willis is a lecturer in English literature at the University of Glamorgen in the United Kingdom. He is co-editor of two collections of essays on science and literature, Sidelined Sciences and Victorian Literary Mesmerism, and has written journal articles for the Journal of Victorian Cultures, Victorian Review, Science Fiction Studies, Essays in Criticism, and Extrapolation.